*A chapel which will be used for healing services and teaching conferences. *A residential section with several bedrooms for people coming on group or individual retreats, for teaching conferences, and for in-residence whole-person healing of body, soul and spirit. We need your help to make this second building a reality. The need is great. As we continue to develop the property we will be putting in various sidewalks and paths with brick in the middle and paving stones along the edges. Into those bricks and paving stones we will be carving in names of donors or of donor’s loved ones. A donation to the building fund of $200 gives a brick and a donation of $600 gives a paving stone. 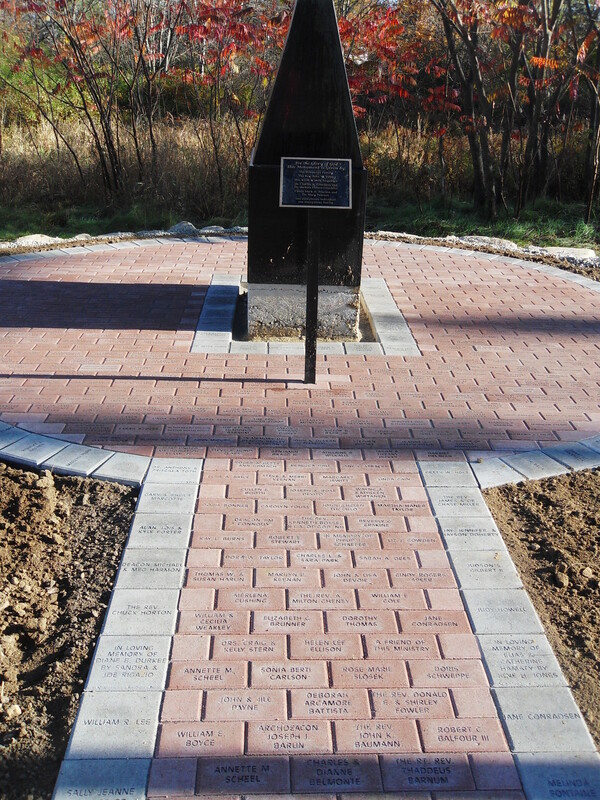 Please make check out to Institute for Christian Renewal and send along to 80 Route 125, Kingston, New Hampshire 03848 along with how you would like the brick or paving stone to be worded. We’ve already done the first walkway and when sufficient bricks and paving stones are donated we’ll put in another one. First, you can give a room, named as you wish, for $35,000 or more (depending on the type of room given). Two complete rooms have already been given, one in thanksgiving for the sale of a business, the other in loving memory of a precious servant of God. There are several more available to be given. Secondly, you can give by transferring stocks to Ducks on the Pond, our building arm. To do this, please contact your stock transfer agent to change the ownership registration. We appreciate and continue to need your support. Your gift can be made over a three year period. If you have questions about how you can participate in any of these major gifts, please call or e-mail Canon Mark at the office. And those “smaller” gifts of $100, $250 and $500 are still very much appreciated and needed.